For centuries Machu Picchu lay undiscovered in the Peruvian jungle until, in 1911, the American adventurer and historian, Hiram Bingham, stumbled upon it almost by accident. Although little is known about the site, it is obvious from the quality of the stonework and the abundance of ornamental sites that Machu Picchu must have been an important ceremonial centre. Machu Picchu is the most popular tourist attraction in Peru and as soon as you capture your first glimpse of the vast citadel you’ll understand why; an enormous site steeped in mystery and adventure. With the growing popularity of Machu Picchu there are now many options to reach the site, ranging from treks to luxury train journeys. Here we explain the different options for reaching Machu Picchu to help you decided which way is best for you. Our travel consultants have all visited this incredible place and know all of the options available. We would love to help you create the perfect holiday in Peru including a Machu Picchu tour so please contact us to start planning your tailor-made itinerary. This is the most popular of the treks to Machu Picchu as it follows the traditional Inca Trail to the citadel. Unfortunately it is also the most crowded. The hike takes you over high passes to a maximum altitude of 4,234m on Warmiwañuska (Dead Woman’s Pass) and during the journey you will visit many Incan ruins including: Runcuracay, Sayacmarca, Phuyupatamarca and Wiñay Wayna. On the morning of the last day of the trek you will arrive at Sun Gate (Inti Punku) where you will have your first glimpse of Machu Picchu. 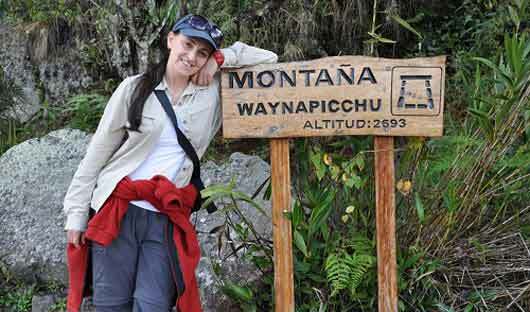 From here you will enter the site and enjoy a guided tour of Machu Picchu. 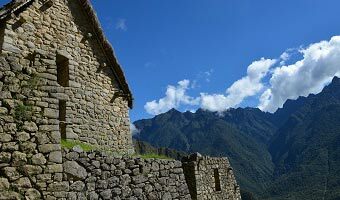 The one day Inca trek is perfect for those who would like to experience the Inca Trail and emerge at Machu Picchu through the Sun Gate but don’t want a 4 day trek. Your day will start early at Ollantaytambo railway station in the Sacred Valley where your guide will meet you and catch the train through the Andes to kilometre 104. Here you disembark and essentially complete the last day of the Inca Trail. You will pass a beautiful waterfall, the ruins of Wiñya Wayna then emerge at Sun Gate in the afternoon where you will see Machu Picchu for the first time. 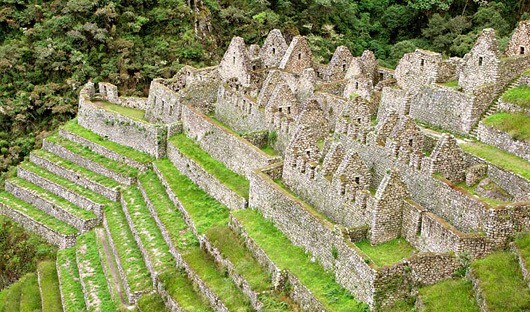 Enter the site here and enjoy a Machu Picchu tour then spend some time exploring the ruins. Trek along lesser known Inca trails through 15 different eco-systems filled with an exotic variety of flora and fauna. Visit remote villages where locals still maintain age-old traditions and conquer high passes of up to 4,570m. The last day of the trek ends in Aguas Calientes, where you take a short bus ride up to Machu Picchu. 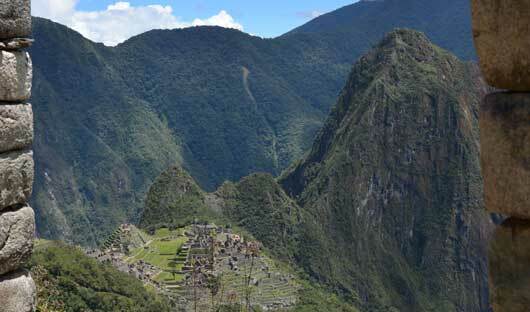 Once inside the site you will have a guided tour of Machu Picchu. 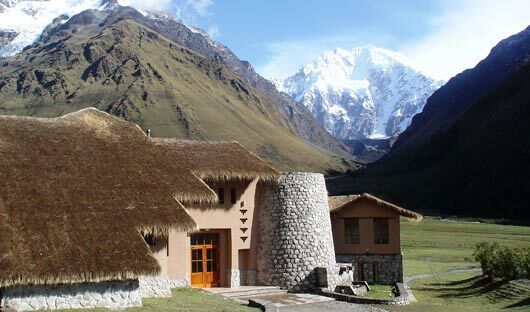 The Salkantay Trek can be taken as a camping trek or comfortable lodge trek where after a day of hiking, you are welcomed with; a hot shower, a massage and a dip in an outdoor jacuzzi, followed by excellent dinner made from local produce before you retire to a warm bed. The Sacred Valley offers beautiful scenery as well as numerous Inca historical sites (Pisac, Ollantaytambo, Cusco, Sacsayhuaman & Moray), it was a very important region for the Inca Empire. A 5 or 7 day itinerary offers a more in-depth look into this fascinating region. 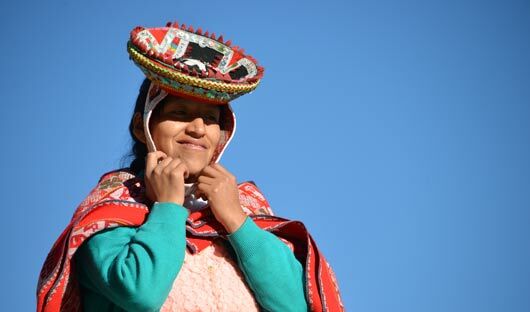 Visiting Andean communities, where many locals are master weavers with traditions still firmly linked to their Inca ancestors. Each day guests have a choice between a hike or a cultural activity depending on their interests. Each evening you will relax in comfortable lodges where you will enjoy excellent meals all locally sourced. The tour ends with a Machu Picchu guided tour. Step aboard the Belmond Hiram Bingham luxury train service to Machu Picchu and you will be entertained by musicians and a delicious three course brunch accompanied by a glass of wine. On arrival at Aguas Calientes, the town at the base of the mountain below Machu Picchu, take a short (20min) bus ride up to the “Lost City of the Incas” for a guided tour of the site. After your tour enjoy an afternoon tea at the Belmond Sanctuary Lodge Hotel, located near the entrance of the ruins, before returning to Aguas Calientes where you board the Hiram Binhgam for the train journey back to Cusco; perhaps celebrating with a glass of champagne with your three course dinner. 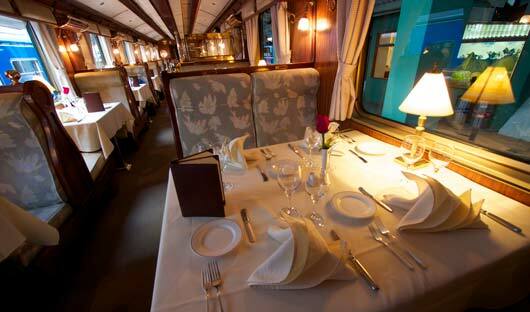 Travel through the Sacred Valley onboard the PeruRail Sacred Valley Train. 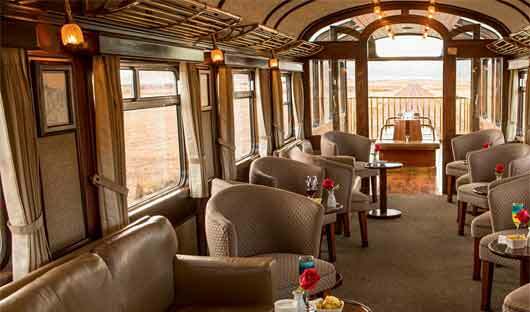 This luxurious train with 1920’s style carriages takes only 33 passengers and includes a dining car serving gourmet cuisine and panoramic observation car. On the journey toward Machu Picchu guests are served a three course lunch and during the return trip a gourmet three course dinner is provided. Both meals are accompanied by a glass of wine and petits fours. On arrival at Aguas Calientes, take a short (20 minute) bus ride to the entrance of Machu Picchu for a guided tour of the ruins. As each journey is approximately 3 hours we recommend staying overnight in Aguas Calientes, a small town located in the valley below Machu Picchu. Board the Vistadome train in Cuzco or Ollantaytambofor your journey through the Urubamba Valley to Machu Picchu train station at Aguas Calientes. The ‘Vistadome’ gets its name from the panoramic windows that offer excellent views above, to the Andes, as well as directly outside from your seat. Here your guide will meet you and join you on the short bus ride up the side of the mountain to the site of Machu Picchu. You will have a guided tour of the impressive site and, if time permits, an opportunity to explore on your own. After your visit return to Aguas Calientes to board the train back to Ollantaytambo, or Cuzco. Onboard the train you will receive snacks and non-alcoholic beverages whilst you travel through the beautiful scenery of the Andes. You may wish to extend your time at Machu Picchu by staying overnight at Aguas Calientes and returning to Machu Picchu the following morning. 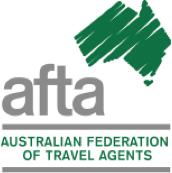 This can be arranged by our expert consultants who will organise your train tickets and accommodation depending on your preferences. Contact us to find out more. There are strict regulations with regards to the number of people who can trek the Inca Trail and enter Machu Picchu. We make sure we are up to date with any changes so we can ensure you have the correct permit for your visit. 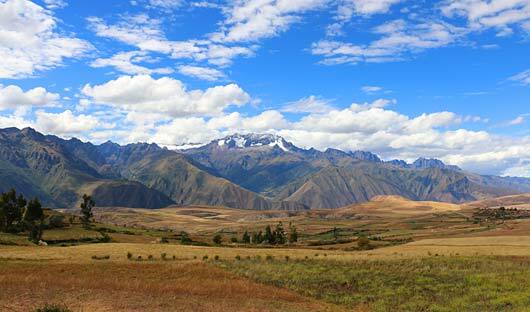 Please note that trekking permits may sell out many months in advance, particularly for the Inca Trail. We encourage you to book early to avoid disappointment. Guided Tours: New regulations to the Machu Picchu site require guests to have a guide for their first tour of the site. We will ensure your first visit is with a guide and can arrange private guides for a personal experience that can avoid crowded areas. For those looking for an additional challenge you may wish to do the 2-3 hour return hike up Huayna Picchu – the mountain behind Machu Picchu. The trail up Huayna Picchu is narrow, with steep pitches and sheer drop-offs. Anyone who suffers from vertigo should avoid this route. You first descend to a saddle, and then begin the steep, switch back, climb to the summit. On this well-maintained trail, there are fixed cables to help you over steeper pitches. The round trip can take around 2-3 hours to complete, the superb views are well worth the effort. Aguas Calientes (literally means ‘hot water’ after the hot springs in the town) is located on the banks of the Vilcanota River in a deep gorge 390 metres below the ruins of Machu Picchu. The only access to this town is by train or foot. 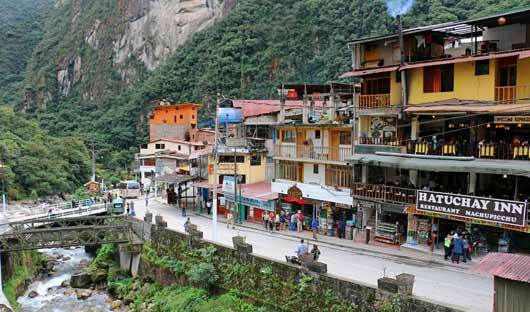 Due to the booming tourist trade from the lure of Machu Picchu, Aguas Calientes does feel a little like a gold rush town but is an interesting place and provides visitors the opportunity to stay the night and visit Machu Picchu early in the morning. For details on any of these treks or train rides to Machu Picchu and to book a tailor-made trip in Peru contact South America Travel Centre 1300 784 794 or email: contact@satc.com.au.